Why is Pro:Idiom so important? 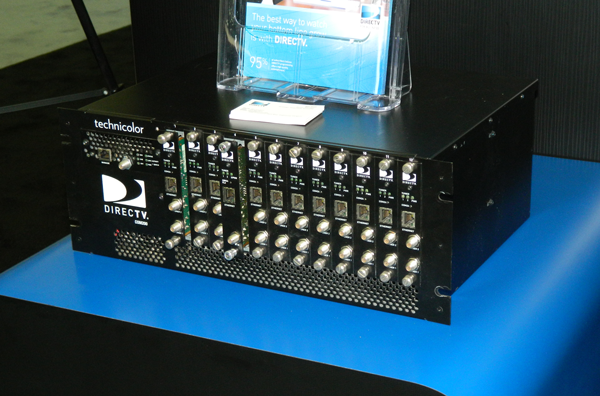 Systems like DIRECTV’s COM1000 keep hotel operators out of trouble by using Pro:Idiom. Pro:Idiom is a content encryption system designed for places like hotels. Without encryption, hotels would be distributing pure digital signals that could easily be pirated. This would make it hard for hotel operators to get contracts at all. Most providers won’t sign a contract with anyone unless there’s some belief that their content will be piracy-proof. With Pro:Idiom, content is decoded and re-encrypted using a system like COM1000. Then it passes through coaxial cable and then to special hotel TVs. These TVs have decryption encryption built in. The guest doesn’t see anything but high-quality HD and has no idea that special steps have been taken to make sure that copy protection has been applied. Pro:Idiom is the leading encryption system for hotels, hospitals and similar locations, and because a common system is in place, products from multiple manufacturers can all work together. Time for a satellite upgrade? IS IT TRUE: You Can’t Use a Cell Phone on an Oil Rig?